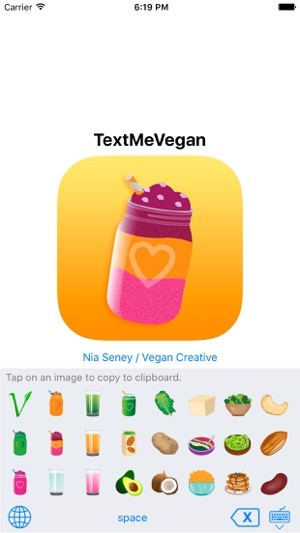 Express your plant-based self with 60 colorful foodie and lifestyle texting icons for iMessage. 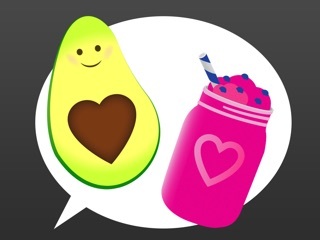 Finally – avocado, kombucha, tofu, kale, green juice and more. 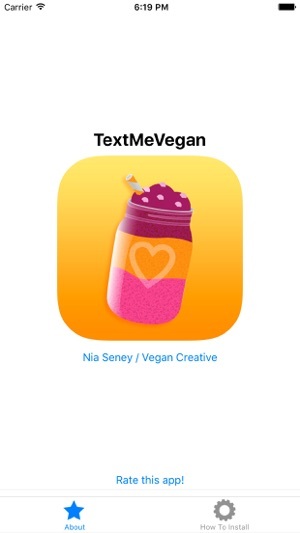 15% of proceeds from the TextMeVegan app will be donated to animal sanctuaries and causes to help support our animal friends. Full access is required to allow this app to copy & paste the keyboard images into your messaging apps. It does not access, track, or store any of your personal information. 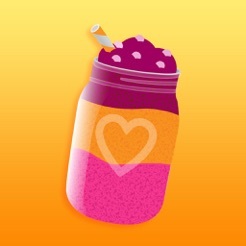 Added 2 free new icons! Kombucha and Vegan Donut. Is a copy paste functionality. The worse part, you paste the image to your txt box and nothing comes up. Horrible!! !